Found this very cool site via this blog and wanted to pass it along! Finding ways for kids to communicate information can be a bit of a challenge. Its easy to fall into the Power Point or Prezi track. Or even easier to not offer up any technology opportunities at all. 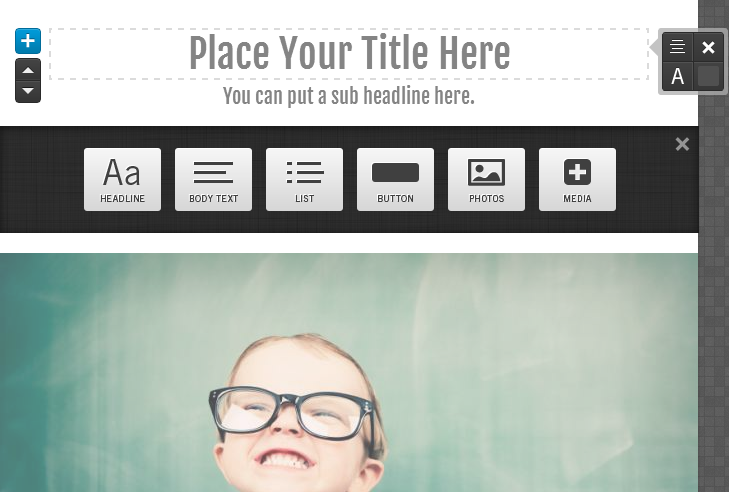 There are loads of great creation/presentation tools out there. Voicethread, Google Sites, Animoto just to name a few are some of the creative ways in the past I’ve covered. You have an editor on the right side that allows you to manipulate colors, fonts, backgrounds and tags. Again, we still haven’t logged in yet. And everything is happening in the web browser. The idea here is you can have multiple types of elements in a presentation of information. It’s still pretty linear but the options to customize how information is presented are really endless. Once complete you have a URL at the top that you can share your Tackk with the world. First you have to preview and share (that locks it down so other can’t edit). The downside is your Tackk expires after 7 days if you don’t create it under an account and you have to be 13 to create an account. 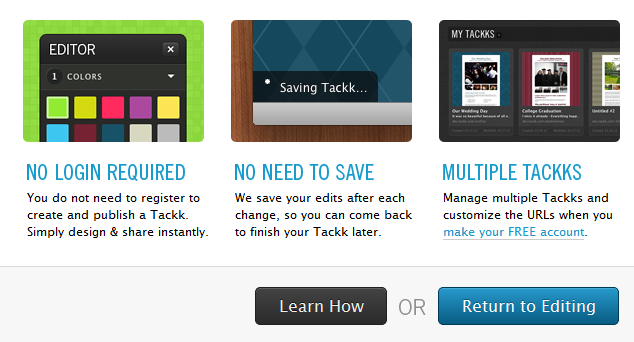 But with the account you can customize your URLs, edit multiple Tackks and they never expire.